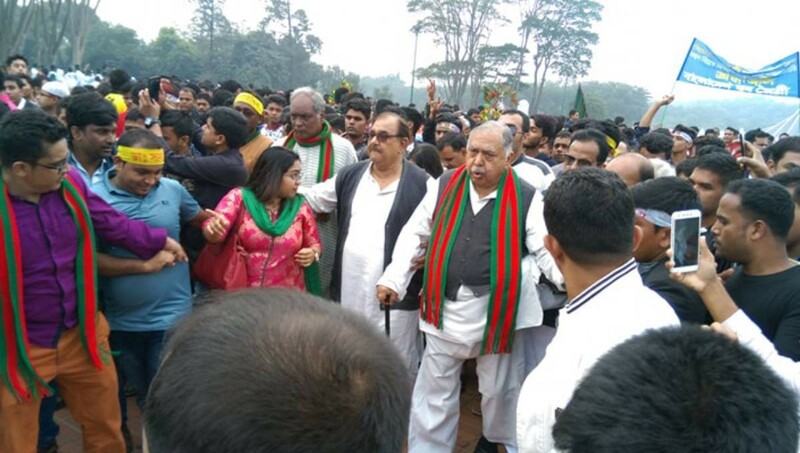 Reiterating that this country belongs to people, Jatiya Oikya Front chief Dr Kamal Hossain on Sunday said the victory of unified people is inevitable. “We’ve to remain alert against those who’re involved in unhealthy politics and those who’re using sticks to repress their opponents, using black money and disrespecting people. We’ll protect our Independence and its values unitedly,” said Dr Kamal while talking to reporters after paying tributes to the Liberation War martyrs.